In recent years as so many more people rely on the internet, the popularity and success of blogging sites has rocketed. 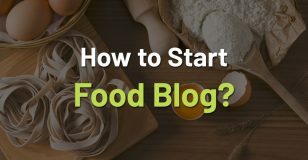 In so many different genres you can find blogs online with huge numbers of readers and lots of online traffic, and also actually making money. 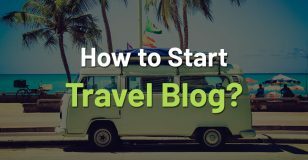 From travel blogs to food blogs, photography blogs to lifestyle blogs, now is certainly the time of the blog and to make money from a fitness blog. Among the thousands of different types of blogs another popular topic is health and fitness. There are a large number of fitness blogs out there though making it tough competition. Some of those sites give good information and are there for the right reasons, but some are blatantly just there for the ad revenue! Often fitness experts and trainers will ask me how to create a blog that has both. Great information for their followers, a way to express their passion about fitness and then also how to monetize a fitness blog? The truth is having a successful and well visited blog is not easy no matter how much of an expert you are on whatever the topic is. The fitness industry now is doing better than it ever has. Millions of people are focused on losing weight, becoming fit and staying fit. There is absolutely the readership out there for good and informative fitness blogs. 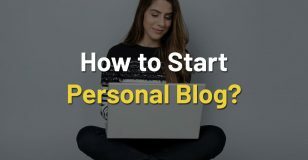 So whether you have already started a fitness blog that looks great but is not getting visitors, or you want to know what to think about before you get started this is the right place to be. Below are some key points to think about for your blog and how to make money from a fitness blog. 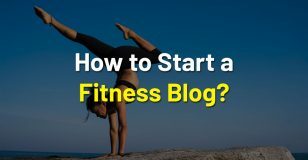 With the advice from some fitness experts around the world and some pointers on successful blogging I can help you create or tweak your site to become a great fitness blog. It can have both good traffic and it can earn an income for you too. Before you focus on the money making aspect of your blog, you need to ensure you have the best blog possible. It is important to make careful plans and consider some things first to ensure your fitness blog is the one people come to. Every day on Google alone there are three and a half billion searches done. People use the internet for so many different things. Looking for restaurants, recipes, directions, products, understanding, information and more. You need to think about what those searches are going to be, related to you and your site. How to get fit, losing belly fat, how to get a six pack, are just examples of what people are searching for. Your fitness blog is something that can solve their problems, and you need to find a way to make sure that it is your blog site that comes up in those searches. Traffic from search engines is vital to a successful and monetized fitness blog. These are people that are already your targeted audience, they do not need persuading of a need for fitness, they are already looking for it in some way. Of course you are not the only fitness blogger, there are thousands even millions in some cases of other sites wanting that traffic. Do your keyword research. Get some of the traffic for yourself. So what do I advise you think about to make money from a fitness blog? You need to make sure your fitness blog is not just about you and anything you are selling. It needs to offer answers to others and solve their problems. Otherwise Google will not select it as an option when finding sites that meet the searcher’s needs. When the visitors start coming in you can then keep them there because you offer the answers they need. Many blogs fail because they are trying to be something to too many people. Choose a niche and make sure you are an expert in that niche. It does not mean you only ever can write on that subject but it gives you a theme and helps keep your blog more direct and focused. Then your content will be more appealing and enjoyable and people will become regular readers. You will also then attract more traffic to it. Now you know who you are going to be writing for and targeting, how do you find out what they want? Well you need to ask them of course! There are several ways I can think of for you to do this. You likely already have some people in your life that are in that target demographic so start out there. Talk to them yes, but there are also ways to create market research surveys that can bring you all the information you need. You can also join different Facebook groups linked to your topic or niche and talk to people in those groups. Another option is searching Twitter hash tags to see what people are tweeting about. Amazon is another great source of information in the customer review sections. Look up a product linked to your area then look at what customers are saying. Find places and people to fill in your survey from all walks of life. Now you can also make sure the quality of your blog is better. A blog that only offers products it is selling and ads to click on, and has no real content or substance is not going to keep up good numbers. As well as making sure you post quality posts that are linked to what the readers want, you need to keep to a good posting schedule too. You need to post regularly and keep the content up to date. One way to ensure that happens is to create a posting schedule. Set days where you will publish new material and stick with it. Do not let yourself start making excuses when life gets busy or other things happen. Ideally you want to have a least 4 posts a week at first and then perhaps moving to between 2 and 4 once your blog is bringing in traffic. All of the posts need to be credible, enjoyable and of reliable content. If you can, get certifications and attend courses so that you can back up your posts with real credibility as well as a passion for the topic. When you have enough traffic coming through you are then more likely to be worth the attention of advertisers where part of the income can come from with a blog. When you know what the focus of the blog is going to be if you do not already have it started I would recommend using a hosting platform like BlueHost. It is very easy to use, you do not need to have web development experience or knowledge. It has a number of different hosting options such as WordPress, Dedicated and VPS but Shared is the cheapest. Since this is for a simple blog Shared hosting is likely the best option. Even if you are completely new to running a blog or website, BlueHost can take you through it step by step. There are 4 Shared Hosting plans best suited to a blog site that BlueHost offer. They start with the least expensive Basic Plan at $7.99 a month usual price. But keep in mind too that BlueHost usually has a special offer making the first few months cheaper for a new user. Then there is the Plus Plan at $10.99, the Choice Plus at $14.99 and then the top tier Pro plan at $23.99. So what do these Shared Hosting plans from BlueHost have to offer? Basic –This has more limits than the other plans so expect there to be limits on things like storage, websites allowed, domains and emails. You do not have any help either towards spam blocking or marketing. There is also no backup option. While limited this is a good place to start when a blog is still new to lower the costs, you can always upgrade to a different plan when the site gains in popularity. Plus – This has less limits than the basic plan so no limitations on storage, bandwidth, websites and such. But there is still no backup option and no domain privacy. It is good for bloggers with WordPress though and if you have more than one web site to run. Choice Plus – There are even fewer limits with this option and it is the plan BlueHost recommends. You get domain privacy now, help towards spam and you get the backup finally. This plan is good if you want additional security and you have more than one site with good traffic already. Pro – It has all the benefits of the Choice Plus plan and extras too like high performance, a dedicated IP and more. The most expensive option but good if you are running an ecommerce site as well as a blogging one. BlueHost as a hosting platform has been around for more than 15 years and has a huge number of blogging sites as well as other kinds of websites hosted with them. Their prices are very good, their affiliate program is another way to earn an income from blogging and they are reliable. Existing customers are also happy with their support and their uptime guarantee. In order to make money from a fitness blog you need to promote it. As well as taking care of your SEO optimization ranking you should consider using other social media platforms like Facebook, Twitter, Instagram and such to promote your blog. Try to create a campaign that appeals to the readership you are looking for. Make sure it reveals your expertise as well as being pleasing aesthetically, and possibly clever or funny. You need to create something that people will remember and be drawn to. Encourage people to like and share your promotional material too. How to Monetize a Fitness Blog? 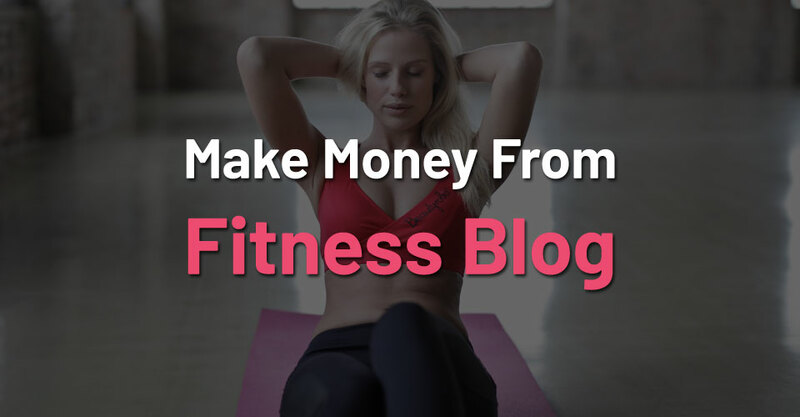 Below is an interesting collection of useful tips from other fitness bloggers who have successfully monetized their fitness blogs. Producing and selling things with your information in it like books is the most scalable way to earn money, but they require more traffic and more up selling. It could be worth focusing more on activities that bring in income like offering personal online fitness training. Turn your passion and beliefs into a brand that you care about and are passionate about. Then create items that are about that belief to sell. Find companies that are in line with your own vision and work with them. 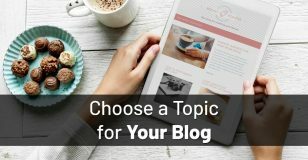 You can be paid to promote their services and materials in your blog posts. Articles can be informative and have sponsored content. But do not accept promotion of just anything or readers will sense you are not genuine. Use the blog to get feedback from customers and create something that responds to that. A program that can help solve their problems for example. Be unique. Do not just share and mimic what others are saying because it is the popular opinion or idea. Be honest about things and share your wisdom. You are more likely to attract companies that want to work with you via sponsorships and endorsements this way, and keep readers and attract new ones. Be genuine in wanting to help others. Offer something of value and help others reach their fitness goals. Try to be engaging and make your blog and sessions fun and enjoyable when possible. 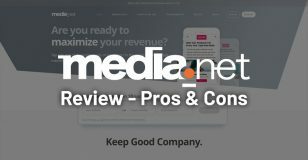 When people feel a connection and a sense of achievement, they will be happy to give you money for your service and will also very importantly recommend you and talk about your blog to others. Build an email list. As important as social media is, email is still the key way you can reach out to people. It is a way to keep readers interested and to draw back in those who may stray! Convert the blog’s success into real business. Use your social media platforms to bring in real clients to your gym or personal trainer business if you have one. Identify your readers and what your niche is going to be. Identify what kind of content you need to generate for them. Use keyword research to target your content. Use keyword optimization to build up your content. Create content that is genuine, different and stands out. Market and promote your blog. Creating a fitness blog needs to be about connecting with people first. You primary reason for creating a blog should not be to make money. The decisions you make will be skewed and viewers will sense you are not genuine. You need to keep your posts regular, of high quality and full of content that your readers want. You need to connect with them, teach them, engage with them. Research your topics, be original and real. Be one of the leaders in the industry not a copycat. When a blog is really good you are more likely to be successful in earning an income from it. You can monetize a fitness blog with sponsorships, ads, sales and services. Make sure you do not let that income take over your focus though. If you start promoting things you do not really believe in and become pushy with ads and sales you are more likely to lose readers as they lose trust in you. Developing a business and an income from a fitness blog is not easy. It takes hard work, you need the right information, and even when it is up and running there is always more work to do to keep it going. But with time and commitment you can not only have a successful fitness blog you can monetize that fitness blog too. How much money you make from your fitness blog is really up to you. Learn the skills to create a good blog, keep posting content readers want to see. You do not have to be experienced at creating and developing websites to be a blogger. A good hosting service like BlueHost has step by step guides and easy 1 click installations so that you could be up and running by the end of today. So stop putting it off if you are just scared and get started now!